Ever since 1871, Boulder has been a protected habitat for the Subaru. However, herds have grown past their endangered species status and entered a SOMEONE-PLEASE-STOP-THIS-MADNESS level. Due to this overwhelming growth, Boulder City Council has placed the ruthless Dr. Haley in charge of culling Subarus. Dr. Haley—a career serviceman of a really boring industry no one cares about—is respected by both political parties and is known for being pitiless in the pursuit of justice, equality, and buy-one-get-one free sales at J.C. Penney. 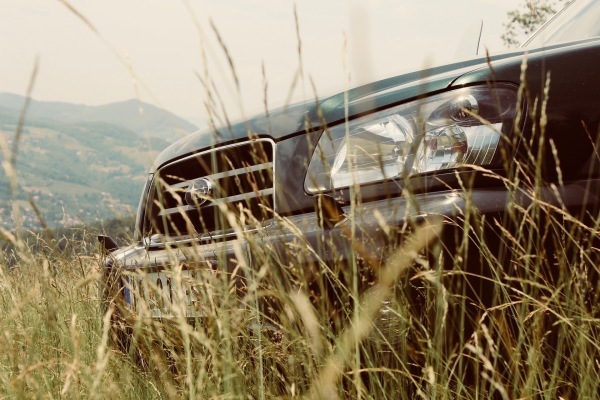 Dr. Haley has advocated the forced introduction of other car models into the environment, mostly vehicles that look like a Subaru but turn out to be a Ford or Hyundai. Buyers are led to believe these cars are exactly like the Subaru. Six months later, however, when the transmission seizes up or the entire suspension makes the car bounce like a hood rat’s Honda Civic, they are told the truth and—if so desired—offered a replacement. This is usually a mid-range bicycle or laminated bus schedule. This bait-and-switch strategy is coupled by a strong commitment to chemical agents sprayed at yoga retreat parking lots and bait traps filled with organic vegetables. After capture or incapacitation, Subarus are scavenged for parts to sell to the Chinese, or they are relocated to other environments like Detroit or Cleveland. Once there, it is hoped the natural cycles of the environment—bitter winters, higher rates of obesity, and “Cleveland Syndrome”—will keep their numbers under control. In response to these devious strategies, Subaru advocates have advocated “advocation,” a made-up term they insist on using to describe their movement. Advocation includes holding candlelight vigils surrounding mass Subaru gravesites in south Boulder and donating to One Life, One Subaru, a charity that provides one Subaru part for every orphan in Somalia. Unassociated individuals are bewildered as to why Subarus are so cherished along the Front Range. Why here and not elsewhere? What about other Japanese things like Cup of Noodles, samurai swords, and cute backpacks that can fit half a sweatshirt? What do the stars on the logo symbolize anyways? Is it an Australian thing? Even scientists with degrees—degrees worth lots and lots of money—don’t know why Subarus have bred beyond capacity. But they have raised other pressing questions: With the removal of so many vehicles from a fixed system, what effect will this have on predators of the Subaru? How will anyone know someone’s commitment to an outdoor, eco-friendly lifestyle? Where will people put their wet golden retrievers? Do dogs have a preference in cars? If they could drive, would they be safe drivers? If dogs… well, the questions get less relevant after that. It has been suggested an active lifestyle may not actually exist without the Subaru, that people will immediately gain twenty pounds and lose their capacity to feel empathy. Some research predicts global transmission change, but no one is sure exactly what this means. It may involve your trusted mechanic, and it may happen soon enough to be afraid. Most of these issues may not be resolved for two to three years when the Subaru population has drifted back to normal levels. In the meantime, authorities recommend avoiding organic vegetables, dogs, traps, people in puffy North Face jackets, and anything that involves Japan.